How do you capture over 125 years of family spirit in one campaign? By now you may have already seen our latest ad campaign, which celebrates our family's line of continuous ownership since William Grant founded our distillery in 1887. Creating an advert that captures such a personal message as ours is difficult. People know we’re a single malt, but many aren’t aware that we’re still family run and why that's important to the quality of our whisky. Therefore we enlisted the help of Kenji Aoki, a master craftsman in his own right, showing his extraordinary eye for detail as he shoots our latest campaign. Watch as Kenji and his assistants prepare the scene, set up and adjust lights, arrange the set and, of course, photograph the distinctive Glenfiddich bottle that features at the heart of our campaign. 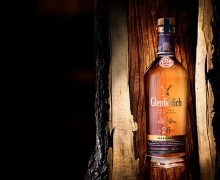 Directed by acclaimed creative director Derek Peck, this behind the scenes video shows the care and attention that goes into everything we do at Glenfiddich, from making our extraordinary whisky to telling you about it. We also hear from Peter Gordon, great grandchild of Glenfiddich founder, William Grant about how remaining family run makes a difference to the quality of our awarded single malts. It's this difference we hoped Kenji would capture, which we think he has. "This single bottle and product is filled with many people's emotions" - Kenji Aoki. To learn more about the rare skills and specialist knowledge that has been passed down through the generations here at Glenfiddich, visit our Craftsmen section.